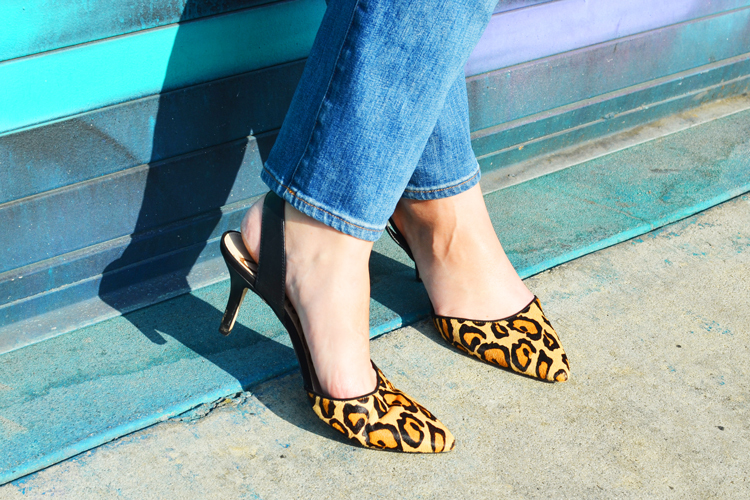 Who says summer clothes should have all the fun? I rejoiced when I opened my weather app and saw that it would be in the 70s all week long. This is how nonexistent fall has been in Los Angeles. Relative to how hot it's been, low 70s equals sweater weather, so I took my chance and wore my brand new open-shoulder sweater from Romwe while walking around the neighborhood. 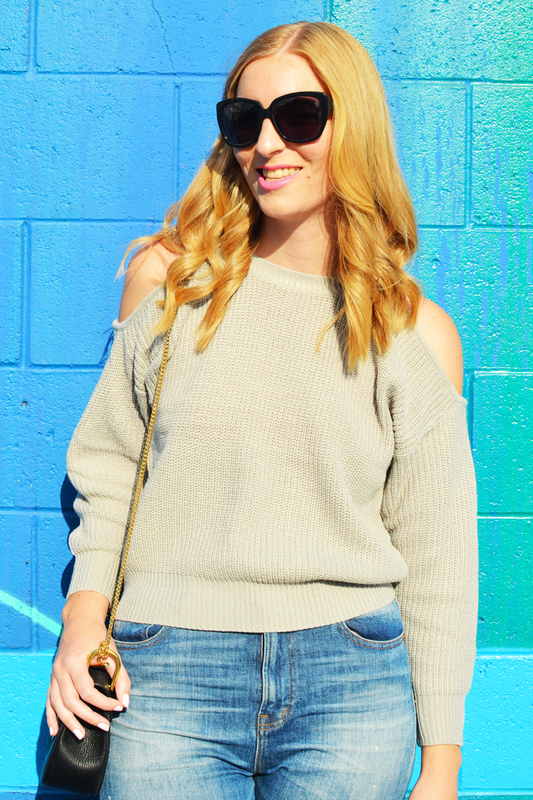 If you live in a temperate climate like I do, the cold shoulder sweater trend is one to try. You get the warmth of a knit sweater with the skin-baring fun of those off-the-shoulder tops and dresses you wore all summer long. 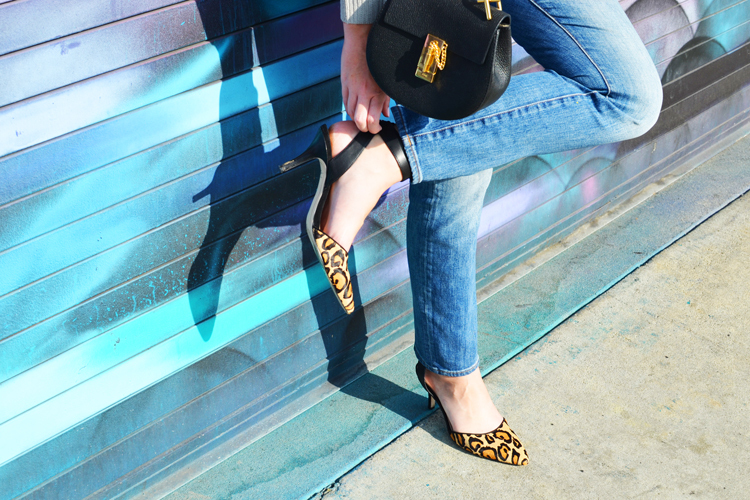 To dress the sweater and jeans combo up, I finished off this outfit with fun leopard print pumps. Contrasted against this uber-cool mural outside of EightyTwo (this cool bar with arcade games and delicious cocktails) the outfit really popped! 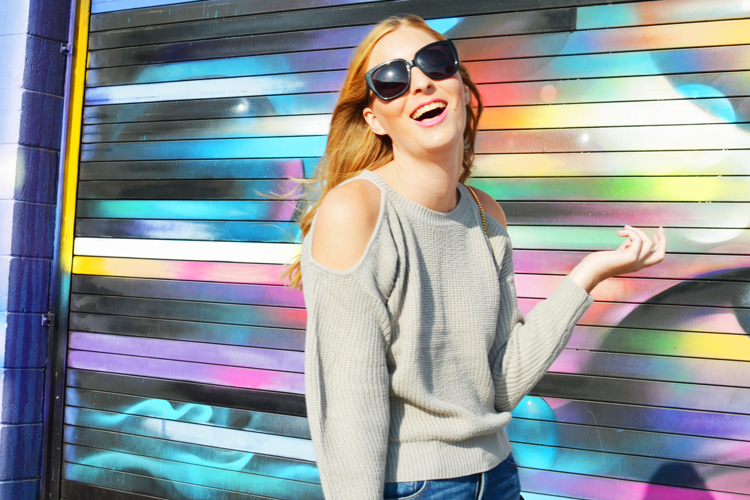 How would you style a cold shoulder sweater? I miss those LA 70 degree fall days! 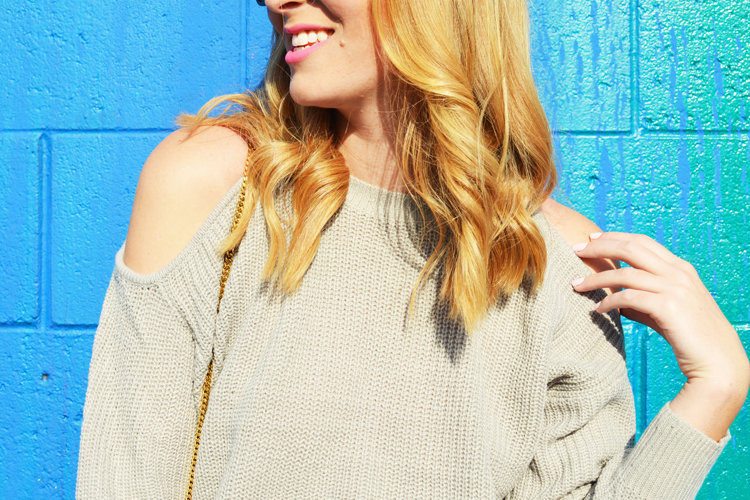 This cold shoulder sweater is definitely the perfect piece for that. The cutouts add really nice interest to an already classic sweater, for sure. LA weather is simply the best! Thanks for reading, Kathryn! Fun outfit. Love the purse of course! First, you look sooo cute & second that wall? It's giving me summer fever! Thanks, Katelyn! 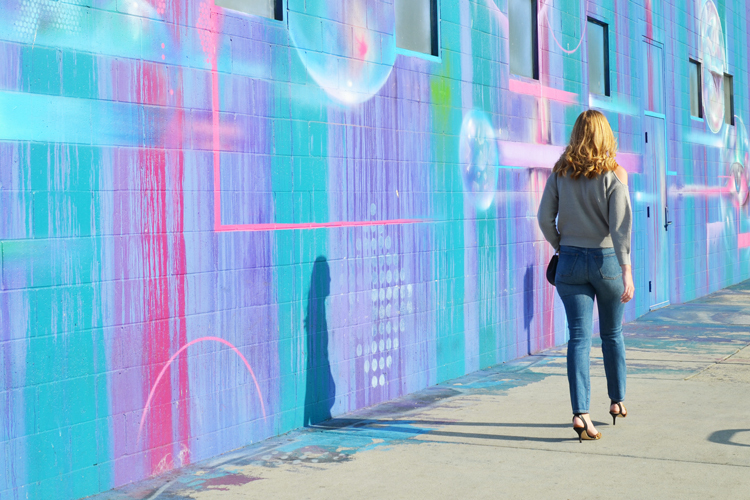 Yes, one of the best things about DTLA is all the cool walls! This one is one of my favorites! I love how cold-shoulders are now on sweaters! It's such a great way to add a feminine look during the Winter. So cute girl! Agreed! I'm just happy that designers are playing around with sweaters and adding cool details so that one can be fashion-forward even in winter. Such a lovely sweater and cool shoes!!! Thanks, Georgia! 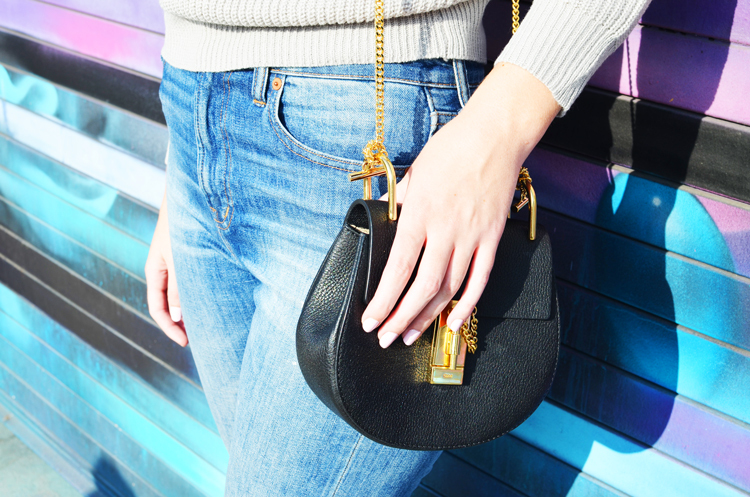 Sometimes a sweater and a good pair of jeans is all you need!